Heroin is derived from the poppy plant. It is an opiate and is synthesized with morphine. Heroin may be white in appearance and is also sometimes brown. Black tar heroin is another variety which is black in color and sticky. Heroin can be consumed in a number of ways. Individuals can smoke it, inject it, or snort it. There are high incidences of Hepatitis C and HIV transmission amongst those who use heroin via injection. Heroin is extremely powerful and addicting. It is possible for users to develop an addiction very quickly which makes it very dangerous. 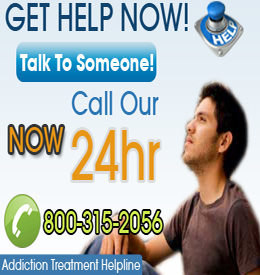 Heroin has numerous negative effects on those who take it. Overdosing is always a risk. As mentioned above, hepatitis and HIV are also potential dangers, amongst those who inject the drug. Individuals who use heroin chronically and/or who consume large amounts of it may suffer from liver and kidney disease or failure, heart lining and hart valve infections as well as collapsed veins. Pneumonia and other pulmonary ailments also may develop. Heroin sold on the street is often mixed with additional substances. These can cause major health problems. They put users in danger of developing brain damage and also kidney and liver problems. This is because the additives can cause blood vessels to get clogged, making it difficult for blood to reach the organs. They subsequently can become damaged. Quitting heroin is a very difficult. Users or addicts will have severe withdrawal symptoms, including, but not limited to, vomiting, diarrhea and cold flashes. These typically last up to 72 hours, though those individuals that have a severe addiction may still suffer from withdrawal symptoms up to a few months after their last use of the drug. Those with an addiction to heroin will likely need to enter some sort of rehabilitation facility to get help. There are numerous ways to treat heroin addicts. Oftentimes, detoxification is required and is generally the first step in the recovery process. Sometimes, special medications are given to lessen the withdrawal symptoms so that is it easier for persons to avoid relapsing. Often times, individuals will start using again because the side effects are so horrible. Methadone and Buprenorphine are commonly given to heroin addicts while they are going through the detoxification process to help them get through it.